This book is a sequel to A Severe Mercy. 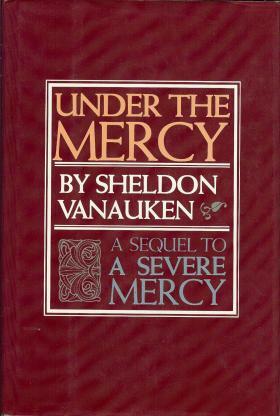 Thus, in this volume, Sheldon Vanauken tells about the years of his life following the death of his beloved Davy. Under the Mercy takes the reader on a journey through the turbulent sixties, that decade of campus unrest when Vanauken, as a college professor, got caught up in both the civil rights and the peace movements. During this time Van drifted from God, but a series of gentle "nudges" in the 70's brought him back "under the obedience" and led to his writing of A Severe Mercy. Following this, Van tells how some further nudges led him to "cross the English Channel" from his beloved Anglicanism to reception into the Catholic Church.